Every firm is doing something to give back to the community. But not many firms are capitalizing on that from a marketing and branding perspective – which is a huge missed opportunity! Marketers must realize the business case for corporate social responsibility (CSR). On this week’s episode, we chat with Katie Garrett, Account Director at Rep Equity about the value of CSR to your organization and engaging employees, and how to market cause work without patting yourself on the back. CQ: A May 2015 Forbes article by Ryan Scott states, “55% of millennial employees were influenced to take their job after discussing cause work in the interview.” This means that more than half of the people entering the workforce are factoring CSR into their employment decisions.. What do you think this means to companies moving forward? KG: So many companies don’t realize how important this is to employees, more specifically the newest employees that are going to be carrying their company forward someday. People want to know they’re working for a company who cares about them and therefore cares about their interests — a shared responsibility with giving and engagement. CQ: Considering this is such an important recruitment piece, why do you think so many companies still don’t have a formalized program in place? KG: Unfortunately, it’s just that most employers are a little behind the curve on knowing what their employees want. I wish I could say this is uncommon, but it’s not. There is a breakdown in internal communications from employers listening to their employees to find out what they value most in an organization — what will make them stay? And what will make them leave? CQ: Beyond the recruiting message, what’s the real business case for CSR? KG: It comes down to understanding how it fits in your larger business plan, and your goals/objectives for the company going forward. From a broader marketing communications perspective – it’s another opportunity to communicate what your company is all about and what you believe in.The business case is that there is an expectation that you need to be involved, and if you aren’t talking about it – people notice. CQ: How do you recommend companies choose which causes to support? KG: You need a holistic approach that includes leadership buy-in, as well as employee input. It’s a conversation between your leadership, marketing, and general members of the staff — a broad cross-section of the company to hear all the voices and then communicate it back to the staff. CQ: Why is this so important for marketers, and not just HR? Where do marketers get involved? KG: It’s a mistake for CSR to live solely with HR. While recruiting relates to HR, it relates much more to the marketing scope of work within an organization — most importantly your internal and external communications. Marketing is critical to determine what you go after and why – to make sure it’s in alignment with your corporate goals. CQ: How can you advise marketers to use CSR activities as a marketing opportunity, without patting yourself on the back? KG: How to not talk about yourself while talking about yourself? It’s the same issue we face with social media – when ultimate the goal is visiblity for your organization. The key is balancing the communication surrounding your different efforts – focus your media outreach on the events that you own and where you have a strong voice. And remember that this is another forum to express your corporate culture. A native Washingtonian, Katie joined the Account Management Team at RepEquity as an Account Director in 2015. 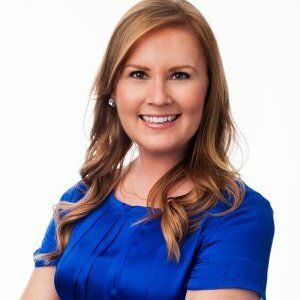 Prior to this position, Katie served as the Director of Marketing & Communications for David M. Schwarz Architects, and she has over ten years of marketing, communications, and business development experience, with expertise in digital marketing, content strategy, brand development, and relationship management. Join us Thursday on the podcast where we’ll chat with Katie about her career and some of her challenges and victories that have landed her where she is today. Next week, we’ll welcome Amy Adye, Workplace Practice Manager at SmithGroupJJR, to talk about making the transition from managing things to managing people.